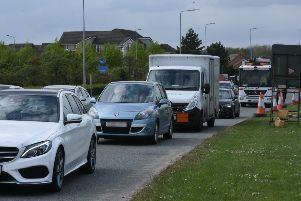 Drivers are facing delays in Peterborough after an accident busy roundabout. Cambridgeshire police have warned there are long delays this evening following the incident on the Boongate Roundabout at the junction with Carr Road. Police said the incident involved one vehicle, and the roundabout is closed. The Air Ambulance has landed to help treat a driver. There are expected to be lengthy delays into the evening. A spokesman said: "Traffic is heavy at the Boongate roundabout at Peterborough, below Frank Perkins Parkway, following an accident. Avoid the area if possible."